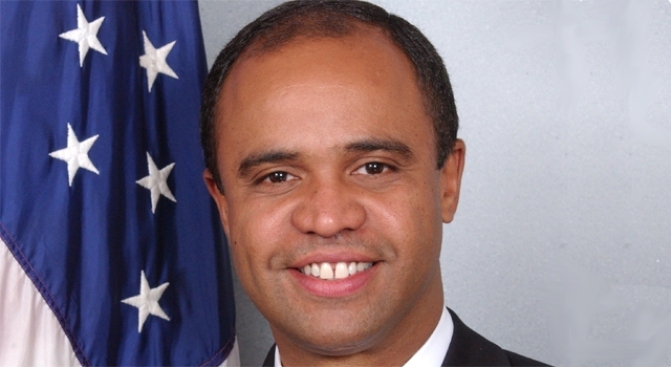 Adolfo Carrion is President Obama's new urban affairs director. President Barack Obama on Thursday named a New York City politician to a new White House post coordinating urban affairs. BronxBorough President Adolfo Carrion's appointment as White House director of urban affairs “will bring long overdue attention to the urban areas where 80 percent of the American people live and work,'' Obama said in announcing the selection. “Vibrant cities spawn innovation, economic growth and cultural enrichment. The urban affairs office will focus on wise investments and development in our urban areas that will create employment and housing opportunities and make our country more competitive, prosperous and strong,'' the president said. Carrion will report to Obama and coordinate all federal urban programs. In his two terms as Bronx Borough president, the 47-year-old Carrion oversaw creation of 40,000 new units of housing, 50 new schools, $7 billion in capital and infrastructure expenditures and more than $400 million in new parks and parkland renovation, the White House said. Carrion earned a master's degree in urban planning from Hunter College in 1990. He also served on New York's City Council, as an urban planner for the city, and as a public school teacher. He currently is president of the National Association of Latino Elected and Appointed Officials. Obama also announced the appointment of Derek Douglas, also with ties to New York, as special assistant to the president for urban affairs. Douglas was Gov. David Paterson's counsel in Washington and director of his Washington office, overseeing federal policy development and advocacy on domestic, economic and urban policy issues for New York.